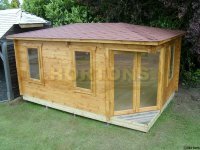 Hortons range of log cabins, insulated garden offices, summerhouses and timber garden buildings are designed for easy DIY installation or we can install for you. They are manufactured to meet our high standards in a dedicated factory which means we can make custom sized bespoke log cabins as well. Our key defining factor is that our buildings are all supplied in kit form which are easily managed when it comes to carrying the parts from the delivery point to the installation site, which of course makes it that much easier to install our log cabin kits and buildings. But unlike most other companies, "kit form" doesn't mean that we as little work at the factory to save costs, ie they leave you to glaze your doors and windows, or in some cases actually build your doors and windows from loose parts - our log cabin windows and doors come pre-glazed and pre-hung so they are ready to slot into place without any extra work required. We have a wide range of cabins, made from slow grown FSC certified spruce timber, which are suitable for a variety of uses, including our Twinskin insulated log cabins that will ensure you are insulated against cold winters and able to stay comfortably cool during hot summer days. Whether you would like to construct a log cabin that meets UK building regulations for habitation, or that of mobile homes so it can be used as a holiday home or equally as an all year round office space. May be you just want a summer house or a shed for your tools and garden storage, we can supply you with everything that you need. How easy are Hortons log cabins to build? You certainly don't need to be a qualified carpenter, click hee here just how easy they are to build. But if you don't want to build it yourself, then we offer a log cabin installation service as well. In addition to our extensive selection of play houses, sheds, sports pavilions, garages and general purpose wooden buildings, we offer a very economic custom design service for customers that are looking for something made to measure and unique. 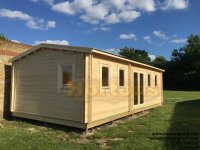 Our dedicated factory makes high quality residential log cabins, designed for full time living accommodation (or commercial offices, classrooms and childrens nurseries). 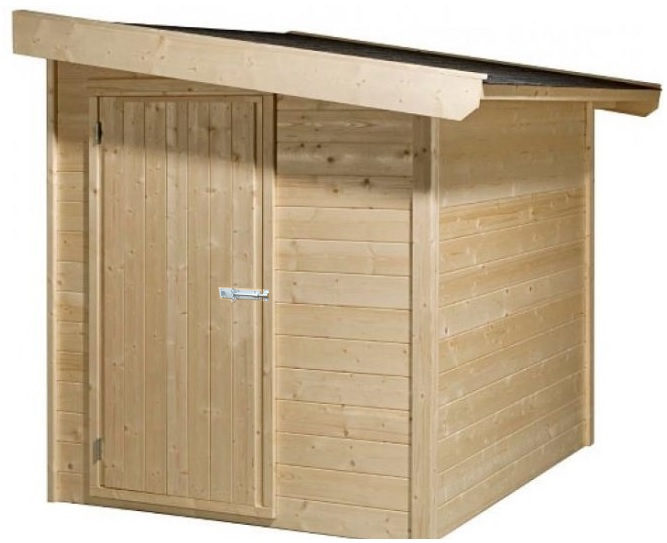 If you need a garden office which is warm in winter and cool in summer, you will find that models from our twinskin log cabin range, with a 50mm wall cavity, are the most suitable solution for your needs. Our cabins can provide an ideal garden room from which to admire the plants and trees without fear of being disturbed by other members of the family. We have many different roofing materials as well as numerous window and door designs for sale so you can be sure that one of our garden log cabins will be just right for your needs, you tell us what you want rather than we tell you what you can have, with Hortons - everything is possible without costing the earth!